Enjoy speech on the go – just point, capture, and listen. 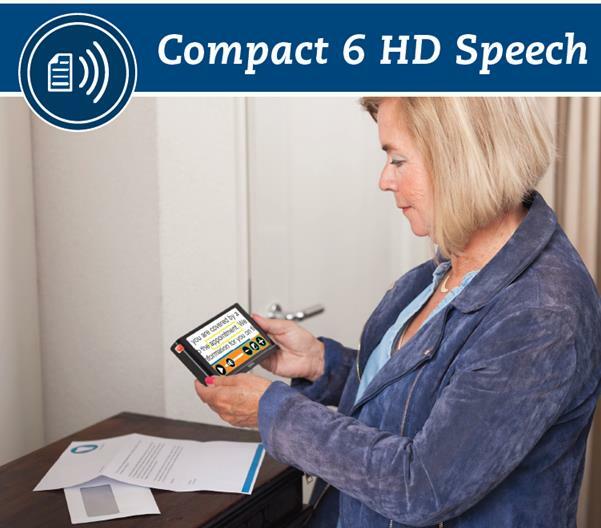 The Compact 6 HD Speech is more than just another electronic magnifier. 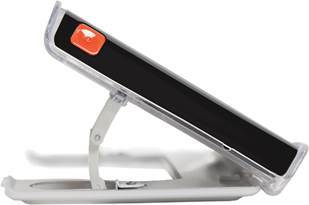 Being only half an inch thick, it is a pocket-sized, 6-inch touch screen magnifier that reads texts aloud, whether it is at your desk, at a store, at home, at school, or at the office. 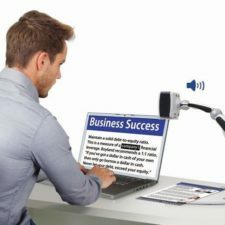 Just point the Compact 6 HD Speech magnifier at your document, take a picture and listen as the text is read aloud. The compact size will capture the image and read you the text in over 25 languages. 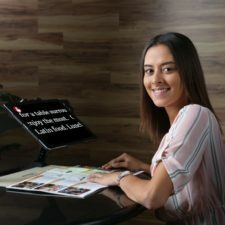 With the Compact 6 HD Speech magnifier you can read magnified text in high contrast colors and view objects from a short distance. With the 6-inch screen, you can display more on the screen and maximize readability. 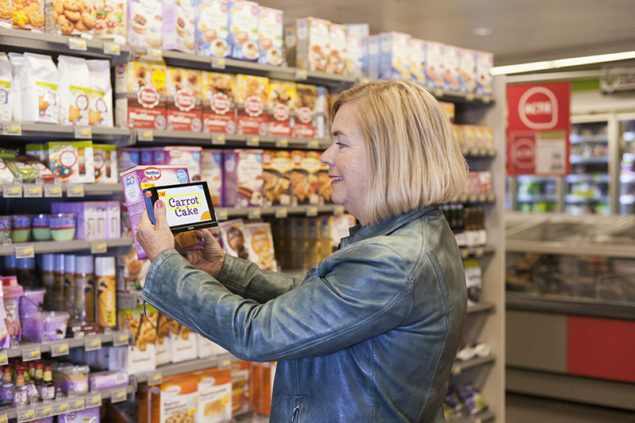 Comes ready to use out of the box within seconds – magnifies instantly after you turn it on. 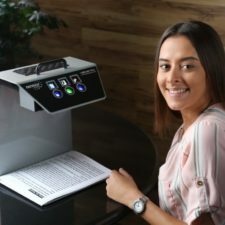 The Compact 6 HD Speech includes two cameras, customizable touchscreen buttons and user-friendly interface – you can tailor your Compact 6 HD Speech to meet your needs. 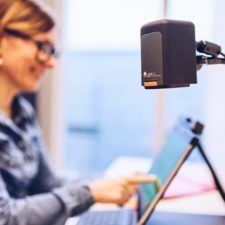 Add on the reading stand for more comfortable reading at your desk or table or you can use it without the reading stand for magnifying nearby objects or for spot reading.